Note: U'Mania has to change this release to WWA Steelbook, instead of WEA. Their next Exclusive title will move to another movie (to be revealed later). The print run for Aquaman will be very low, so it is advisable to join the Group Buy early as this will be in very high demand. Caption: Korean, English sdh, Chinese, Spanish, Danish, Dutch, Finnish, German, Norwegian, French, Swedish, Thai language. Assuming it's not a new title like Aquaman I'm hoping for BvS. I've got loads of Wonder Woman and Suicide Squad already and Hdz Man of Steel is coming eventually. But yeah, maybe a cool take on BvS would be nice! @extantsrevenge what does “DC Universe” mean? Is that alluding to modern telling, or just DC in general? I am guessing “Universe” means another modern release though. Pass if it is, In if it isn’t. Batman with Michael Keaton? Ooh Yeah, that would be pretty awesome! Interesting! Keeping an eye out for this one! To Update Group Buy open, reserve your spot NOW! Info: U'Mania has to change this release to WWA Steelbook, instead of WEA. Their next Exclusive title will move to another movie (to be revealed later). The print run for Aquaman will be very low, so it is advisable to join the Group Buy early as this will be in very high demand. it says the link is offline??? We are doing some system updates today. It will be back shortly. 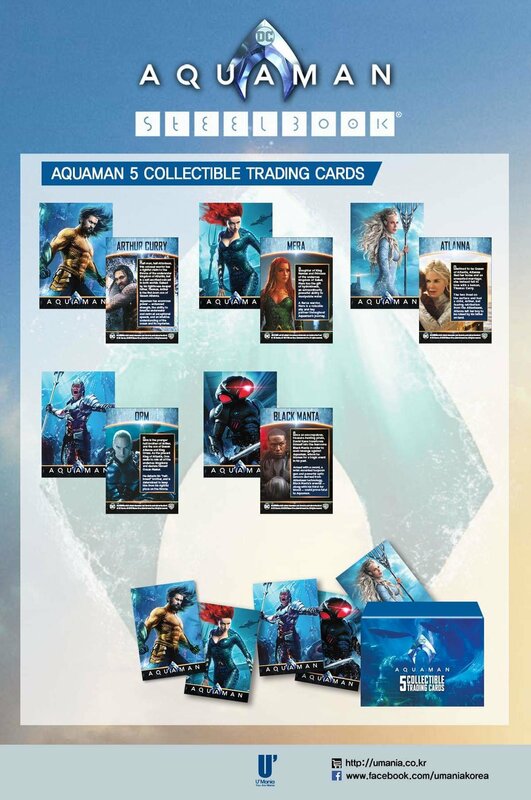 Our Oneclick order for Aquaman will come with a carton box to house the 3 editions. The groupbuy closes in a few days! Yup, making the request is all that is needed. I will secure the carton box !! How do I run the support tool that it's talking about? How do I fix this so I can see today's posts? In my email, I saw a message about the oneclick coming in a carton box and being extremely limited to only 150 copies, and for members who want one to make a request. I already filled out the updated groupbuy form and requested the oneclick, and am on the list of people wanting the oneclick. Is there anything more I need to do? I do want the carton. Thanks.